A Russian fighter jet was recently shot down by Turkey near the border of Syria, drawing international attention and increasing the tension in the region. 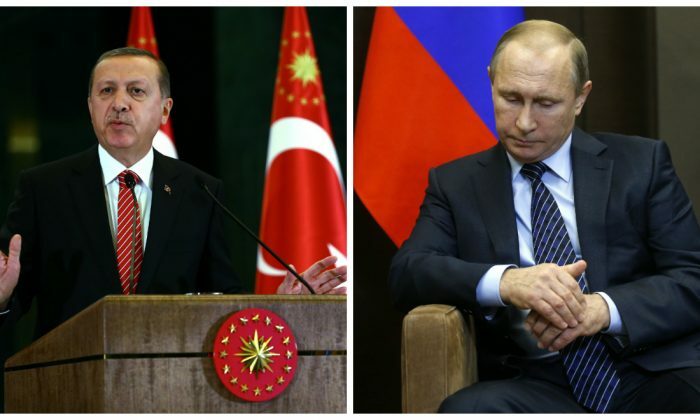 Both countries have reacted to what happened, most notably Russia’s economic sanctions on Turkey’s food and workers. A group of Belgian physicists decided to analyze the claims from both sides and see which is right–unfortunately it appears both are partially right but lying about aspects of what took place. The Turkish military says they gave the fighter pilot 10 warnings in five minutes, and that the jet then crossed into Turkish airspace for 17 seconds before being shot down. But examining video of the incident, which was posted online by media outlets, the scientists say that some numbers are off. Specifically, knowing that the jet takes about 30 seconds to hit the ground, the scientists calculated that the plane was moving at a height of about 4,500 meters. In utilizing that number plus the speed, the scientists say that the Russian jet was in Turkish airspace for seven seconds, not 17. Further, the warnings were very preliminary since the jet could have turned at the last second. 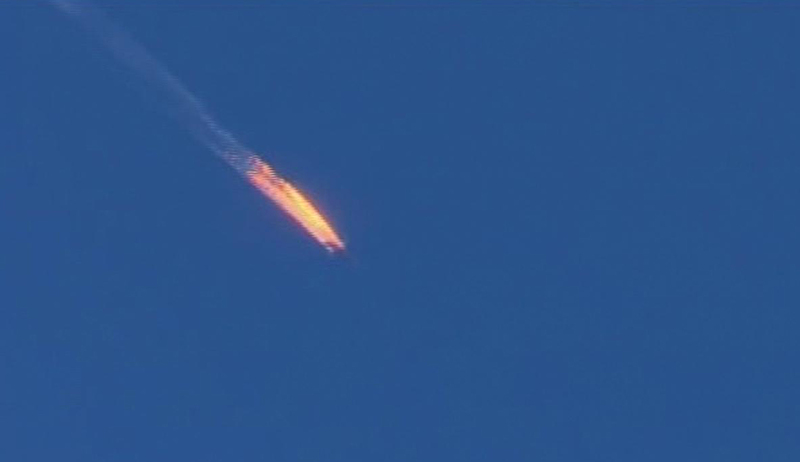 “How could the Turkish airforce predict that the Russian jets were about to enter Turkish airspace? Military jets are very agile, and in theory the Russian jets could have turned at the last moment to avoid Turkish airspace. The warnings issued to the Russian pilots were mere speculation at the moment they were made,” the scientists said. On the Russian side, officials published a map that shows the plane making a 90-degree turn after it was hit, which is impossible according to physics unless the incoming rocket was a lot bigger. Whiel Russia blocked most air travel and food from Turkey over the incident, and moved missiles close to the border, Turkey has taken action including moving tanks toward the border and blocking Russian sea travel. U.S. President Barack Obama called for both countries to reduce tensions, and focus on battling terror group ISIS instead.